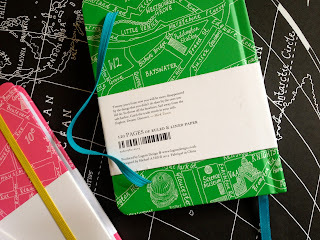 Look out for my new Map Notebooks, soon to be in stores alongside my map wrapping paper. They are a handy A6 size, just right to slip into your hand luggage on your next city break. 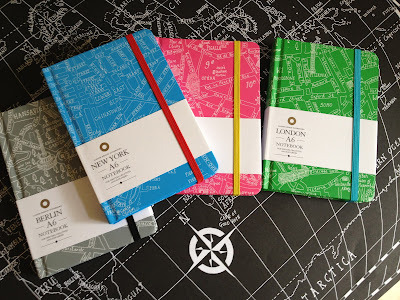 Featuring maps of central Berlin, New York, Paris and London in four different shades, these notebooks could inspire your next journey (and provide somewhere to plan it). Both the wrapping paper and notebooks are available from www.lagomdesign.co.uk, or in selected stores. 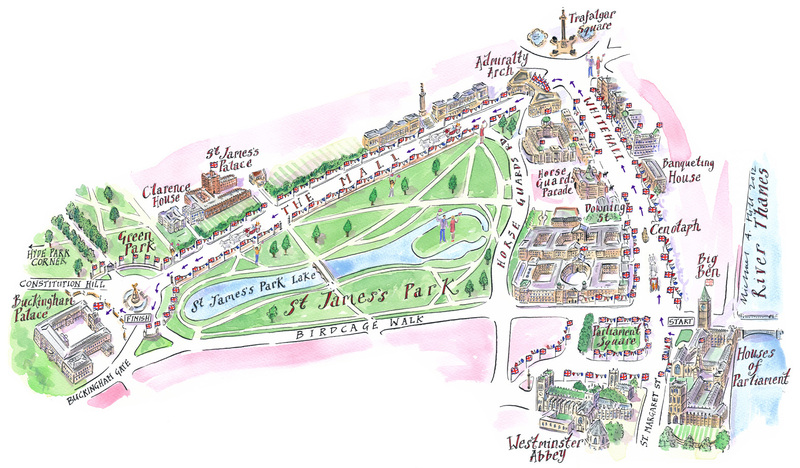 Love the Queen but can't make it to London for the Jubilee celebrations? Prefer to toast Her Royal Highness in the comfort of you own home? Enhance your television viewing by following both her carriage procession and the River Pageant on Michael A Hill's handy fold out map on the cover of the 'Souvenir Special' Total TV guide. 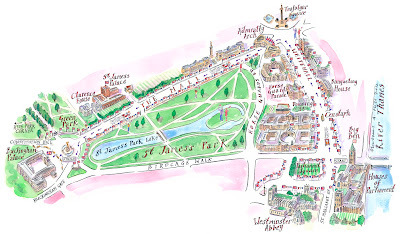 The procession starts at the Palace of Westminster and finishes at Buckingham Palace, a route which allowed me to draw some of London's finest historical buildings. Sailing eastwards along the Thames from Battersea to Tower Bridge, the River Pageant will be an amazing flotilla of 1000 different boats, from a coracle to Gloriana, the Royal Barge (usually seen on the Norfolk Broads). With a readership of over half a million, my maps will be sharing a many coffee tables with the remote controls and a drop of something to toast the Queen on her 60 year reign.